Trying to figure out an inexpensive way to redo your worn out floors? 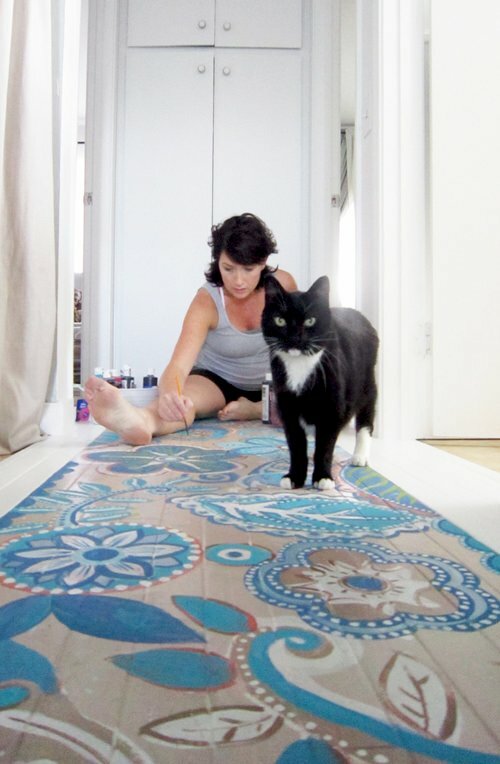 You can create your own painted floors! Whether you want to cover an existing floor, or start over on brand new sub floor, it’s easy to customize your flooring without the custom price. Here are the basics on how to paint a floor, then our picks for some great painted floor ideas, with tutorials and instructions. Prep – The floor must be properly prepped in order for the finish to last. That usually involves sanding and priming the floor. Non porous surfaces such as tile or laminate require a specialty primer to seal the surface, such as BIN or KILZ. Paint – You can use tape, stencils, stamps or even freehand your chosen pattern or design. Any house paint will do, porch paint is a great choice as well. Seal – This is as important as prepping, if not more so. You MUST seal your painted floor well in order for it to stand up to traffic. I prefer water based polyurethane because it dries quickly. I recommend 4-6 coats. Add a coat periodically when the finish wears thin as maintenance. Easy? Well, you might not think “easy” after your back and knees complain the next morning, but “worth it” will be right up there! 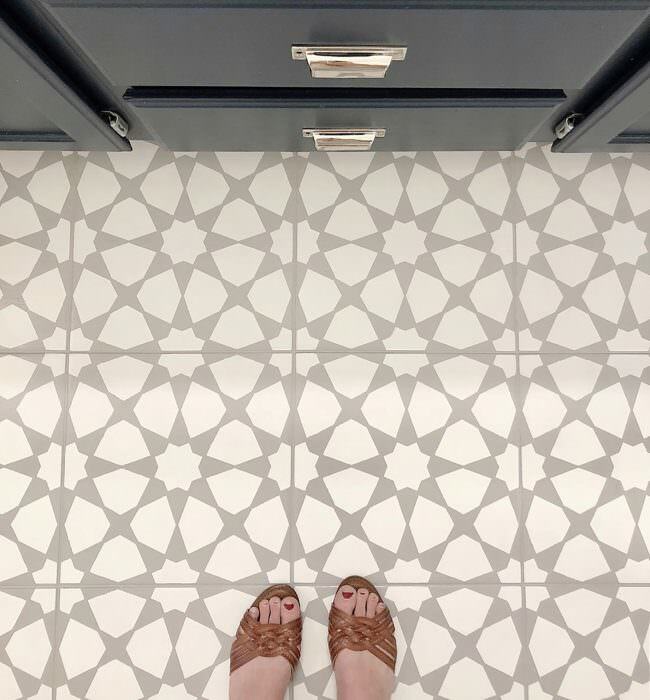 Try out these DIY painted floor ideas! 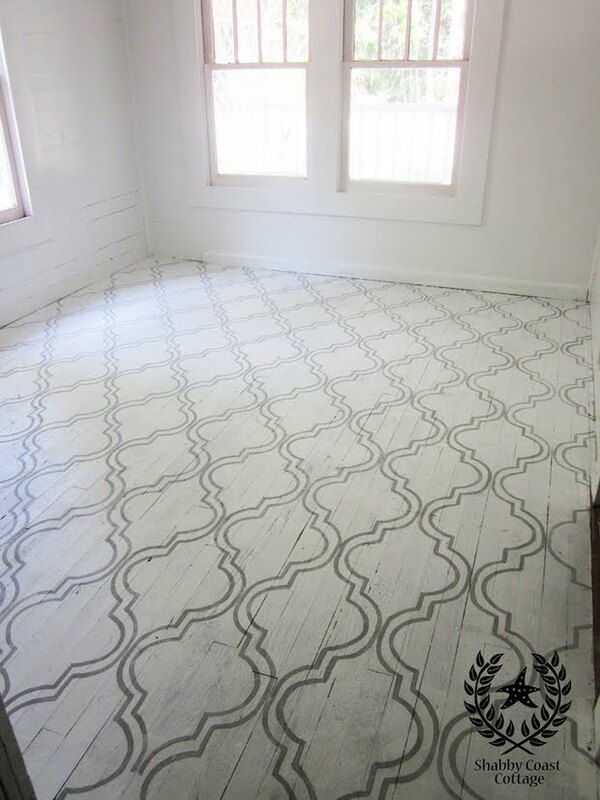 Learn how to paint vinyl floors with this easy tutorial from ‘Cherished Bliss‘. 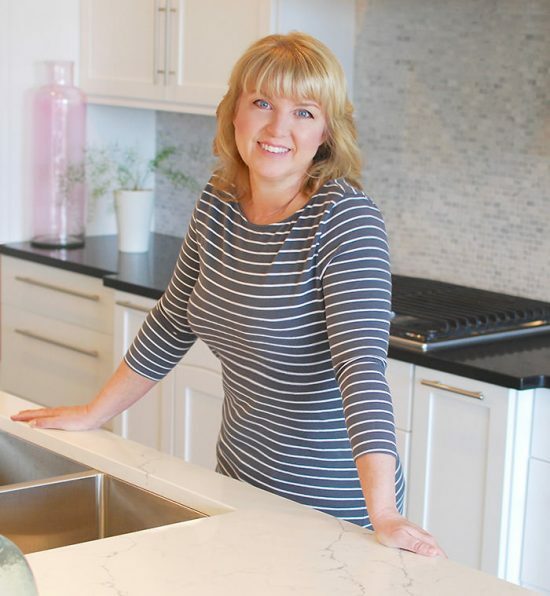 She created the trendy cement tile look at a fraction of what it would have cost her to install it. With paint! 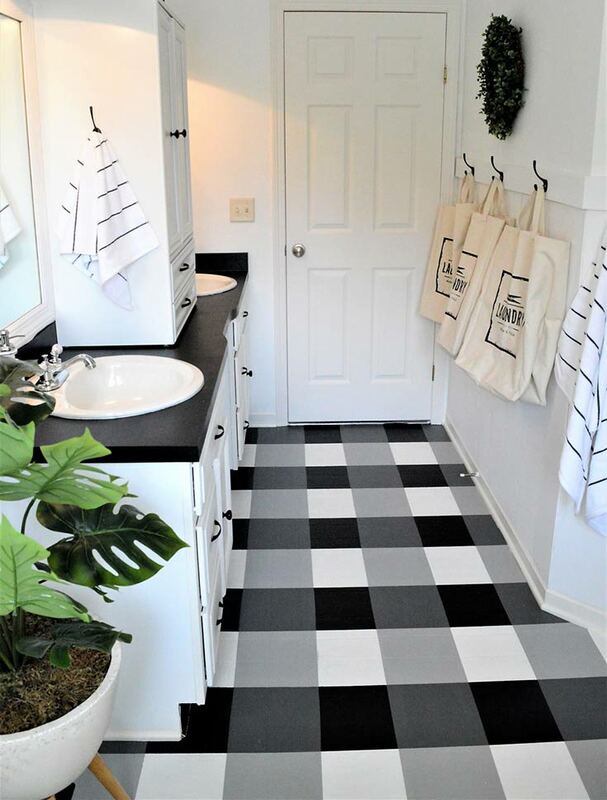 You have to love this buffalo check painted vinyl floor from ‘The Other Side of Neutral‘. Just some masking tape, paint and her tutorial is all you need. 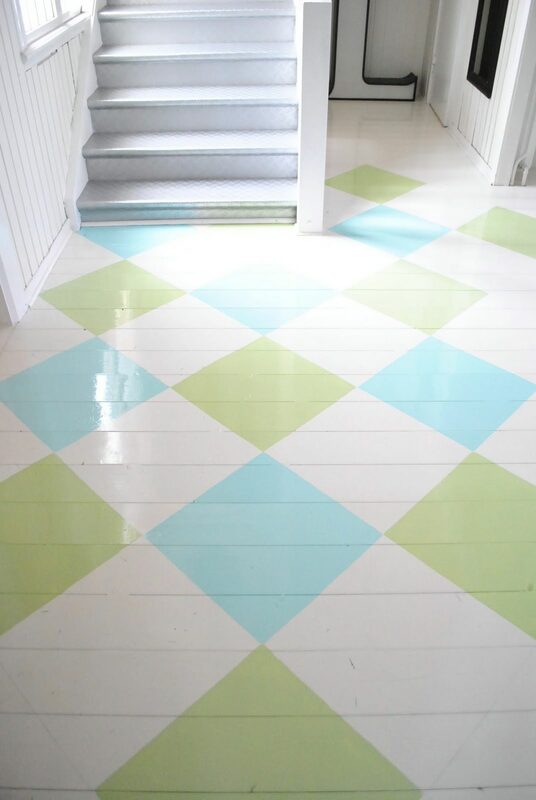 ‘At Charlotte’s House‘ made this painted vinyl floor the easy way using a simple graphic design. She did this bathroom floor for $5! Here is one last painted vinyl floor done over at ‘Young House Love‘. This one is also done in cement tile style, and they tell you how to order this exact stencil. Simple! BTW, they also share how this floor has held up, in a wet bathroom, no less! ‘Liz Marie‘ did the perfect painted hardwood floors ever. 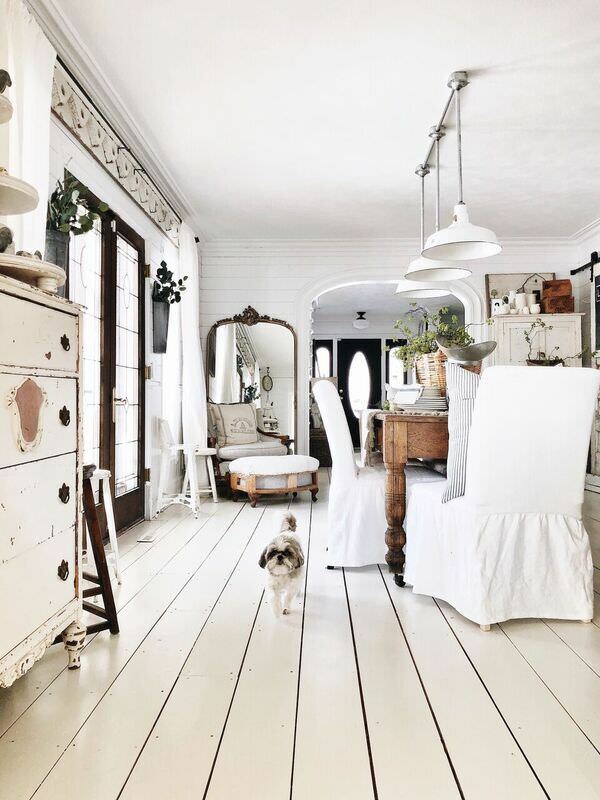 I can’t imagine this room any other way than with these perfectly creamy and light painted floors! Easy to follow tutorial, and lots of FAQ questions that are answered. 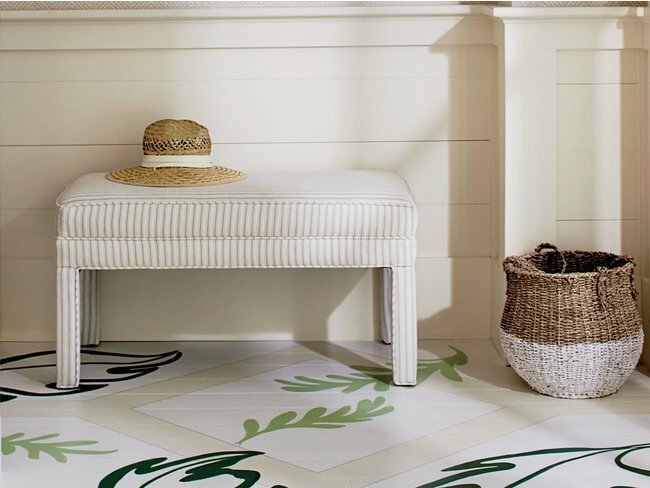 ‘Southern Living‘ has a great painted floors tutorial so that you can personalize your project to your home. Super simple! Photo by Laurey Glenn. Here is a painted hardwood floor by ‘One Kings Lane‘. This pattern was stenciled on and then filled in with a paint brush. Fresh and fun! 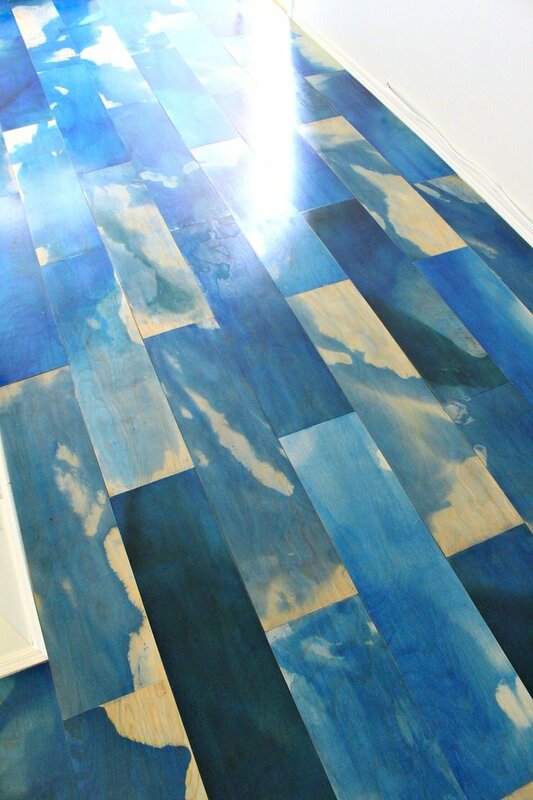 ‘Alisa Burke‘ painted this wood floor herself, and it is AWESOME! She walks you through this process. Amazing art for your floors! ‘Shabby Coast Cottage‘ created this painted floor to cover up worn and aging hardwood. Her tutorial has instructions and a downloadable template for the stencil. 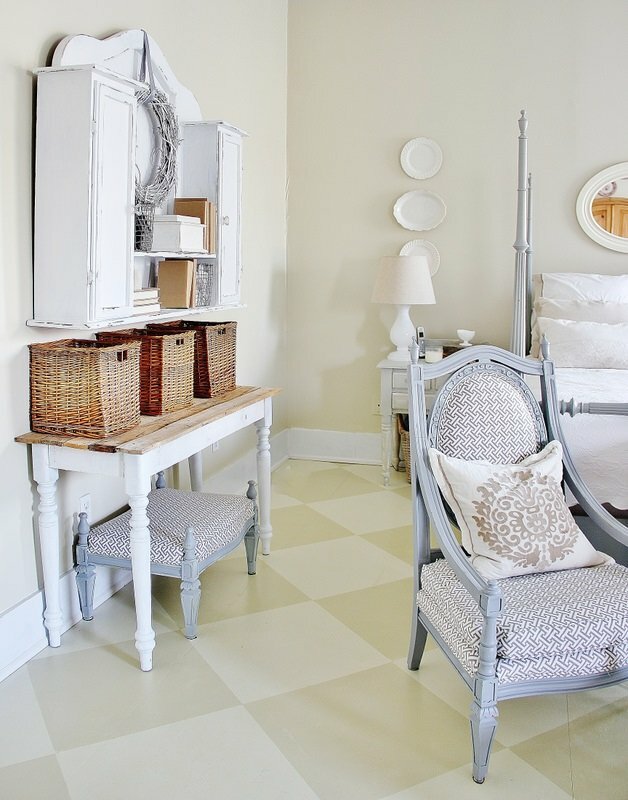 How about some final painted wood floor inspiration, before we move onto to painted plywood floors? Photo from ‘In My House‘. Ok. This is bold, this is beautiful, this is stunning! 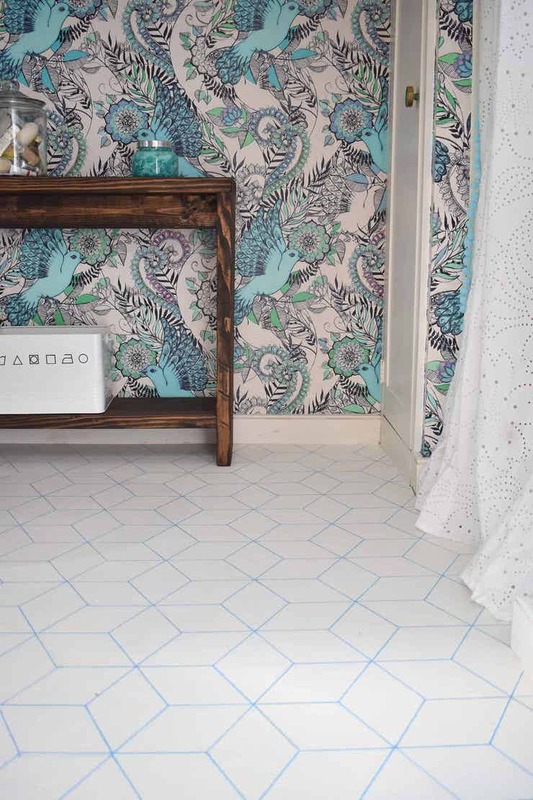 This painted floor idea comes to us from ‘Dans le Lakehouse‘. She stained plywood with water colors, and then installed them. All we can say is “Wow”! This project is from our friend Karianne at ‘Thistlewood Farms‘. This is their painted plywood subfloor! Yes, I said subfloor. They hated the carpet that was there, and new hardwood floor was not in the budget, so they pulled the carpet and painted the subfloor. What a great project and idea! The Budget Decorator has always been about finding unconventional ways to decorate without the money… who says the subfloor can’t be the “floor”??? Go Karianne! 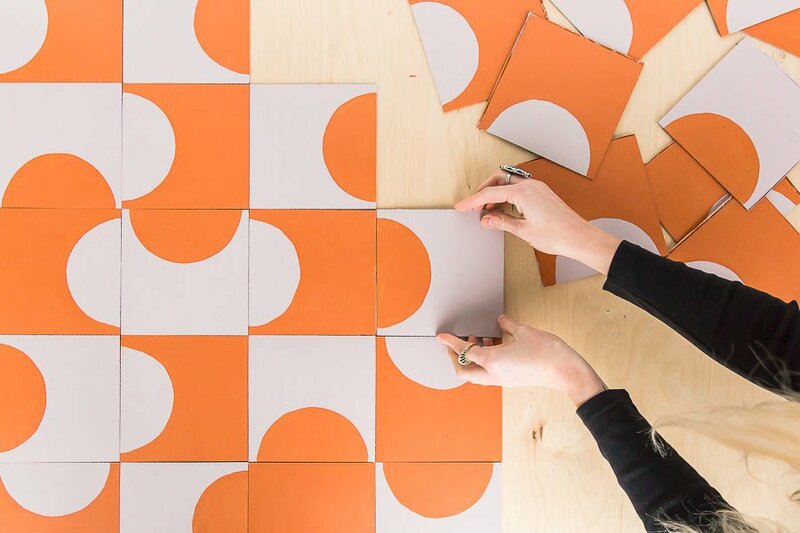 These painted floor tiles from ‘Paper & Stitch‘ are the perfect example of what you can do with an inexpensive material. These are just peel and stick vinyl floor tiles, and paint! Ah-Mazing! Are you as “floored” as we are? 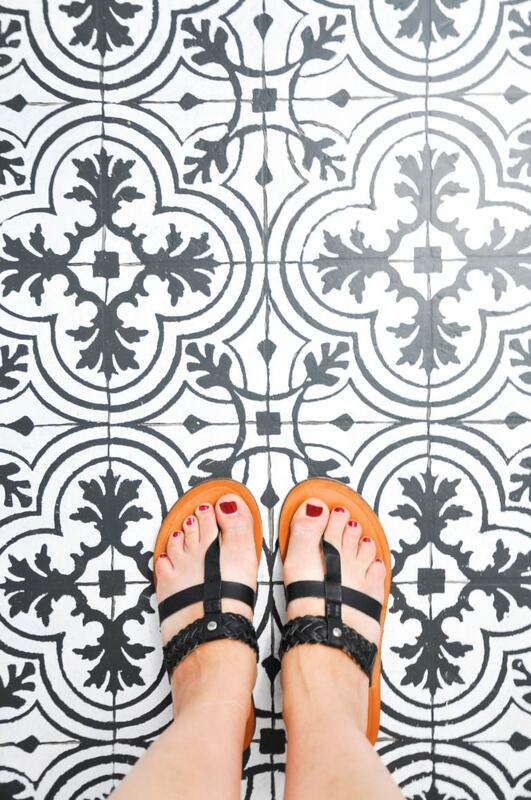 Would you have ever guessed you could make these amazing painted floors look this… well, amazing? We think you will also want to check out our post on Dining Table Makeovers! 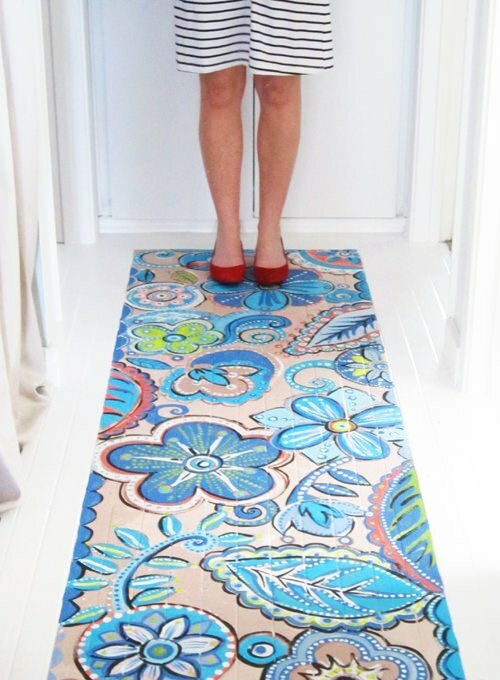 Also jump on over to our post on DIY Area Rugs at our sister site, OhMeOhMe! Does anyone know if you can pain a concrete floor? As in, the concrete UNDER my existing dirty carpet? Yes you can… There is concrete paint and stain at the home improvement store…make sure you follow the instructions on the can about cleaning the concrete before hand. 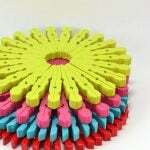 Yes you can but it is not necessary to use speciality products. I was a professional painter for several decorators in a past life (one that would physically do such a thing!). I have painted several concrete floors that were previously covered in gluedown products. Prep is the key to this or any painting project for that matter. You must clean, clean, clean your surface. Prime – I like Bullseye the best. paint with regular latex wall paint. be sure to let it dry well and apply 4-5 coats of a polyurathane. It will hold up very well. One family I commissioned for had four small children and 5 years later it is still looking good. This same process can be done on not-so-attractive laminate countertops. Good luck!!! I tried to go to the Shabby Coast Cottage Blog to look at the tutorial and it’s saying that I must be invited to look at the blog. Do you know how I can be invited or look at the post? Thank you!! Hi Candace… I see that… I will try to find a contact for you! How to Paint natural marble ? anyone? Hi Nora… Anything can be painted with the right primer. KILZ was originally designed to sell iron bath tubs, so it would work well. Why do you want to paint your marble? 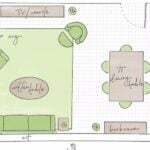 Shabby Coast Cottage painted this floor, and has instructions and a downloadable template! Im sorry Jenny, we ran across the same problem! Have no idea why a blog would be locked out! We will try to find a contact for her! I have a tiled kitchen floor. what sort of paint i have to use to paint a tiled floor? It isn’t the paint so much that is important, it’s that you use a good primer and a good clear topcoat! 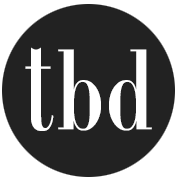 If you read through some of the tutorials, you will get lots of product ideas. Good luck!